The number of mobile devices used for business purposes is increasing almost exponentially. Because of the higher use, hackers have started to target mobile devices, largely because they can be fairly easy to hack. If you use a mobile device for work, it is a good idea to ensure that it is secure from both external and internal threats. Here are five questions to ask if you want to properly protect your devices. 1. What do I know about Wi-Fi hotspots? With a tablet or phone it can be easy and tempting to check in with the office, write a few emails or even do your finances on the go. This usually means connecting to the Internet, and because so many mobile plans limit the amount of data you can use, you will likely use Wi-Fi. The thing is, many of these Wi-Fi hotspots found in airports, coffee shops and even in public transport zones are open. This means that anyone with the tools and knowledge could gain access to devices connected to this network. Simply put: Connecting to a public Wi-Fi network or hotspot could put your data and device at risk. You should take steps to limit that amount of important business oriented tasks you do while connected to these networks. At the very least, you should not allow your device to connect automatically to open or unsecured Wi-Fi networks. By physically signing into networks or choosing what networks you connect to, you can somewhat control or limit security issues that stem from Wi-Fi connections. 2. Do I want a stranger to see what’s on my phone? There seems to be this view that whatever you are looking at on your phone or tablet can’t be physically seen by other people. While your device is relatively small, many are large enough to allow strangers to see what you are looking at and even typing. If you are sending or reading confidential info on your phone or tablet be sure to check that people aren’t looking over your shoulder or watching you type PINs or passwords. In fact, it would be best to read or type this type of information in private, where other people aren’t likely to be looking over your shoulder and privy to private data. 3. Is my phone secure? Security is a big issue for many businesses. You want to ensure that your information, files and systems are secure from intrusions and threats, and likely implement measures to keep them so. However, few users pause to think about their mobile devices. Take for example Android’s marketplace Google Play. While the vast majority of apps are legitimate, some are fake and contain malware that could harm your device. Beyond that, hackers are increasingly targeting mobile devices by placing fake apps online or even malware on sites that will automatically be downloaded if users visit the page or click on a link. To combat this you can download a virus or malware scanner for your device and run it on a regular basis. When downloading apps be sure to verify the publisher and source of the app. Securing your device with a password or pin makes it harder for third parties to gain access should they pick up a lost device or try to get in when you aren’t looking. 4. What info is stored on my phone? Stop for a minute and think about the information you have stored on your device. 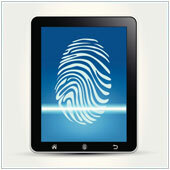 Many users keep records of their passwords, important documents and even private information. The thing is, many devices are easy to hack, and also lose. If you lose your device, your valuable information could also be lost and potentially stolen. You should take a look through your information and ensure that nothing incredibly important is stored on your device and if there is, back it up or remove it. 5. Is it necessary for apps to know my location? Geo-location has become a popular feature of many apps. The truth is, many of these apps probably don’t need this information, instead requesting it to provide a slightly better service or more personalized experience. However, this information about you and your phone could be stolen so you might want to think about limiting how much a third party can see about you. Both Android and Apple’s iOS have apps that allow you to select what programs are allowed to gather and send your location-based information to developers, with iOS actually allowing you to shut down location-based services from the Settings menu. If you would like to learn more about mobile security, contact us today as we may have a solution that will work with your business.